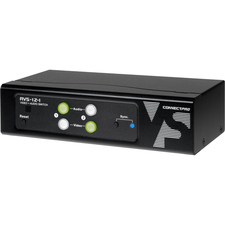 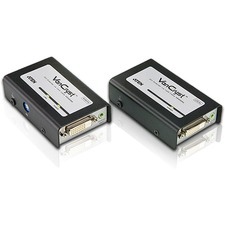 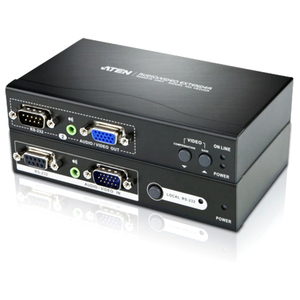 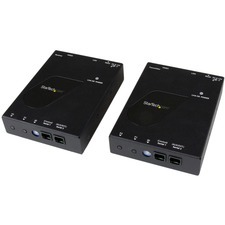 The VE200 Audio/Video Extender System allows you to extend the distance between the computer system unit and the display monitor by up to 200m/500ft for video resolutions of 1280x1024 @ 60Hz. 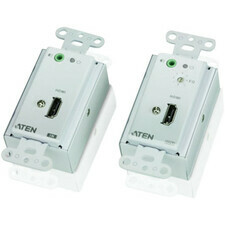 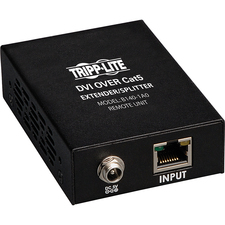 It accomplishes this by means of a local transmitting unit (VE200L), and a remote receiving unit (VE200R), connected by Cat 5e twisted pair cable.The VE200 Audio/Video Extender System is ideal for installations where the display needs to reside in public view, but the system equipment can be safely tucked away. 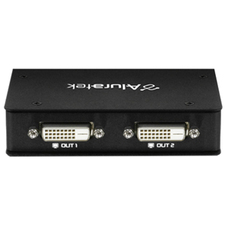 The Extender System is also useful for control and security purposes, where you can have the system unit in a secure area while the display is located in an area that is convenient for viewing. 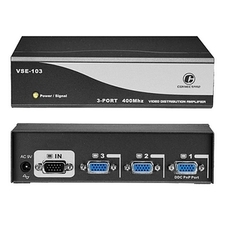 Other useful applications for the VE200 Audio/Video Extender System include:Finance: The remote display of stock market information.Education: The remote display of lectures and lessons to lecture halls and classrooms.Business: The remote display of addresses to overflow rooms; video conferencing; and demos.